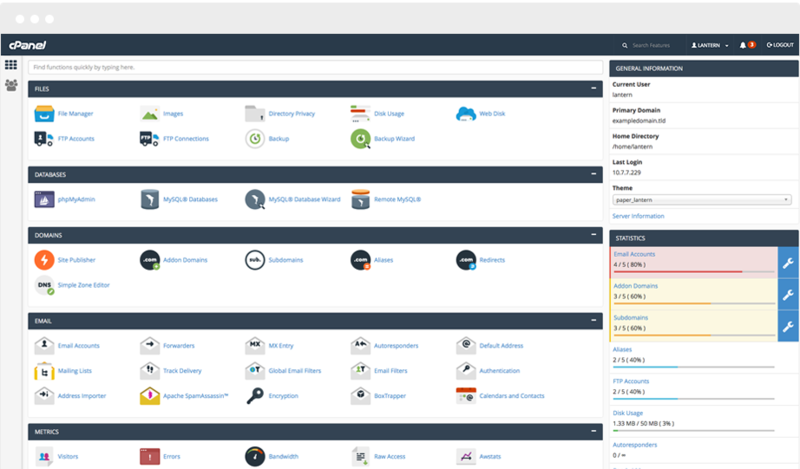 cPanel is a popular dashboard to manage hosting orders however, if you’re not too clear on how to use cPanel, this article will walk you through the basic functions that you can perform with relevant screenshots. Several of these tools may be available at the discretion of your server administrator or web host as they may need additional modules or tools to be installed and exposed within the cPanel interface. The current version (as of publishing this article) is cPanel & WHM version 66, released on 24th July, 2017. Here’s more information on the release. Why do people use cPanel? If you’re new to cPanel & have never logged in before, your hosting provider would have given you a username and password. You can login to your cPanel by typing in your domain name followed by a 2082 or 2083. Example: www.example.com:2082 or www.example.com:2082. You will be required to fill in your username & password here. On the top, right hand side of your panel, you will be able to see your Username with a dropdown of settings where you can change your password, your language, style etc. It can all be reset with a single click. Statistics like file transfers, email account number, domain names etc. User management to add/ remove users email accounts, manage who has access to FTP etc. Let’s now address the ‘how-to’s’. To update your contact information, click on the dropdown next to your username on the top right hand side. 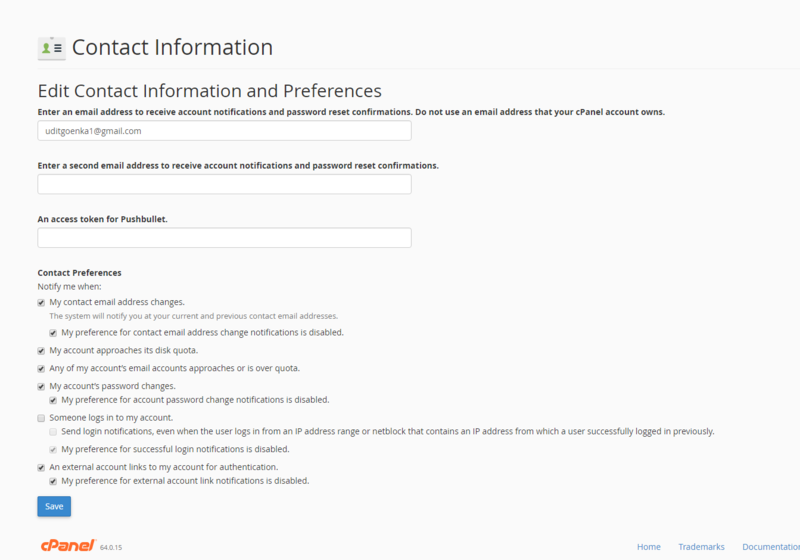 Leave all the boxes ticked to get notified about any account information changes, low disk space changes etc. Change your password easily by heading to Password & Security. 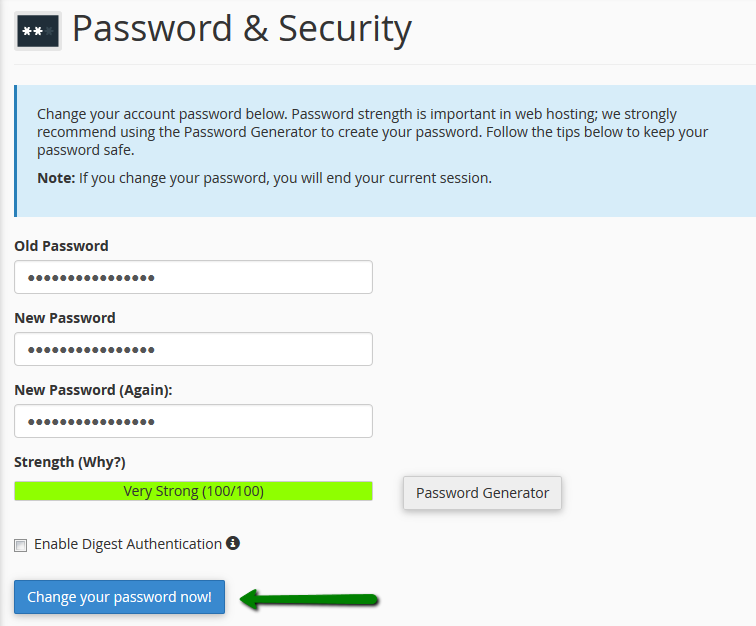 Here, you will need to enter your old password before you can change it to the new one. 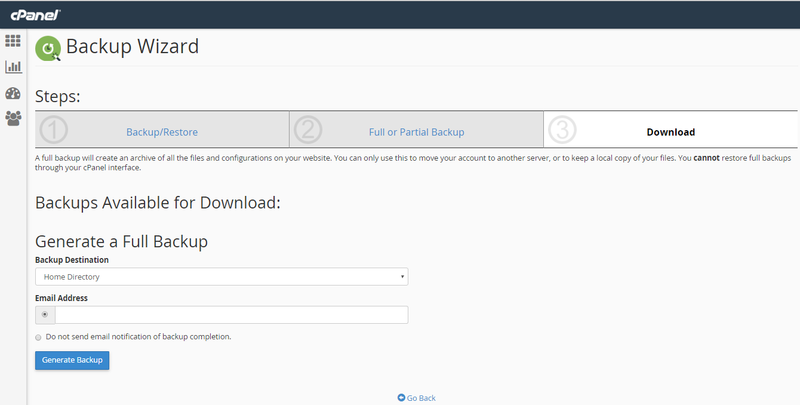 cPanel allows you to host multiple domain names within the same panel. If you need to add/ remove a domain name from your cPanel, here’s how to do it. 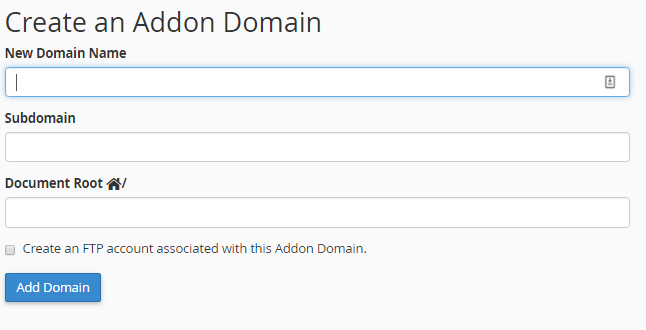 Under the Domains section, click Addon Domains if you want to add a new, fully functioning website. The New Domain Name is the name you’ve registered sans the ‘www’. Once you fill in the first field, the other two are auto-populated. Hit Add Domain & you’re done. To access your webmail account, simply type http://mydomain.com/webmail in the address bar. Files is where you can upload files, take backups of your website & manage FTP accounts. Be very careful that you don’t modify or delete files accidentally, though. Here, you will see root files and subfolders. Once here, you can create a new folder, you can upload a file through File Manager. Backup Wizard in Files makes backing up a really simple task. Once here, click Backup to backup your files. You will be given the option to either fully back up all files or do a partial backup which includes Home Directory, MySQL Databases, Email Forwarders & Filters. You can choose your backup destination & request an email notification once the backup is complete. We hope we were able to help you work your way around the commonly used features of cPanel with this How to use cPanel guide. If you’d like more tutorials on more functions, leave us a comment below & we’ll do a Part II of this post.